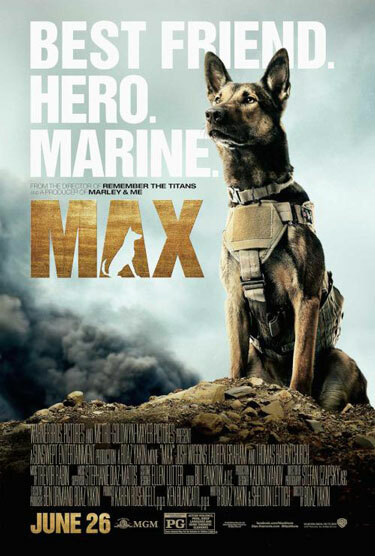 Warner Bros Pictures and MGM released the first trailer and poster for the inspirational movie Max (not Mad Max – totally different film), and hopefully this isn’t one of those film’s where the dog dies in the end. The PG-rated movie follows the story of a military dog whose trainer dies in the war and returns stateside to live with his handler’s family. The trailer shows how affected Max was by being in Afghanistan under threat and how transitioning to civilian life isn’t just difficult for people but also for canines who served in the military. Max was directed by Remember the Titans‘ Boaz Yakin from a script he co-wrote with Sheldon Lettich. The cast includes Josh Wiggins, Stephen Amell, Lauren Graham, and Thomas Haden Church. Max is set to open in theaters on June 26, 2015.